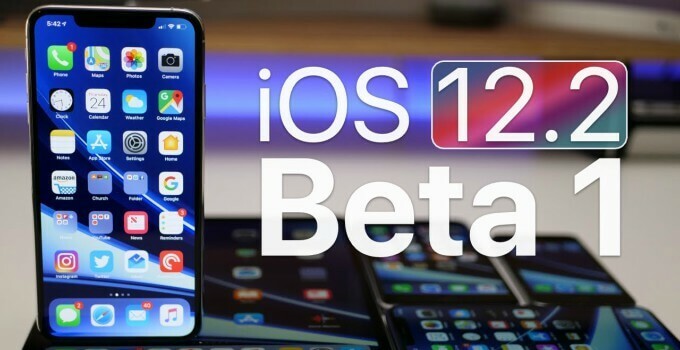 Apple has released the first beta of iOS 12.2 to the developers. Here’s how you can download this update for your iPhone, iPad, and iPod touch. 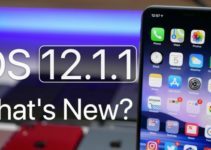 What’s new in iOS 12.2 Beta 1? iOS 12.2 Beta 1 carries the build number 16E5181f and weighs around 750MB on all compatible Apple devices. Apple News for Canada – Apple News is now available for Canadian users for the very first time. News sources are available in two languages – English and French. HealthKit – High/low heart rate notifications along with irregular heart rhythm notifications are now available as read-only category sample types. Safari HTTPS update – Websites that don’t have an SSL certificate are now labeled “Not Secure” in the menu bar. Air Quality in Apple Maps – Apple Maps now lets you display Air Quality alongside weather news. It can be activated in the Maps section of the Settings app. You can grab this update straight from the downloads section of the Apple Developer Center. Users who aren’t enrolled in Apple’s developer program can download this update using the OTA Profile download link below. 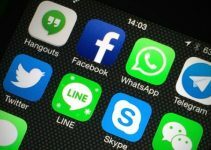 iOS 12.2 will most likely be the final major version of iOS 12, so we definitely recommend updating your device to the latest version. The upcoming beta updates will flesh this version out even more. Just like previous updates, there’s nothing of interest here for jailbreak enthusiasts. As mentioned in our latest firmware update tweet, users who are interested in jailbreaking their devices should move back to iOS 12.1.1 and stay there.